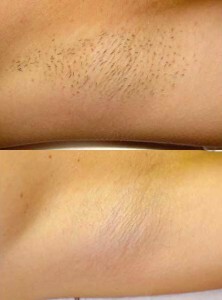 IPL Hair Removal, before and after 6 treatments. Imagine not having to shave, tweeze, wax or go through electrolysis again! Intense Pulsed Light (IPL) VascuLight technology offers a gentle, non-invasive, long-lasting solution to unwanted hair on the face, back, legs, bikini line or any other body area. Based on technology used for nearly a decade in the treatment of port-wine stains and other birthmarks, IPL VascuLight photoepilation has been performed safely for many years, effectively eliminating dozens of hairs with each pulse. More advanced than even lasers, IPL VascuLight is the first photoepilation technology proven to treat unwanted hair safely on any skin type – from very white to very black. To ensure the best outcome, you may be asked about your medical history and skin type in order to estimate the results you should expect from your customised treatment program. How does IPL VascuLight remove hair? Highly controlled flashes of light are selectively absorbed by hair-filled follicles lying below the surface of the skin. The absorbed light heats the hair, which damages or destroys the regrowth potential of the follicle, all without damaging the surrounding tissue. Before Treatment: Parameters are set to ensure effective hair removal and skin safety. During Treatment: Pigment in hair shaft absorbs the light. The resulting heat damages each follicle. After Treatment: Damaged hairs are eliminated, with excellent long-term results. Treatment begins by trimming away the hair above the skin. You may be asked to wear dark glasses to protect your eyes from the bright light. Next a cold gel (similar to ultrasound gel) may be spread over the treatment area. The IPL VascuLight hand-piece is then applied to your skin and pulses of light begin disabling your unwanted hair. When the gel is removed, much of the hair is wiped off with it. The remaining hair in the treated area falls out over the next week or two. Each pulse of light feels like a slight sting or pinch, similar to that of a rubber band. No local anaesthesia is required and most people tolerate the treatment well. IPL’s unique design offers you customised treatment according to your hair colour, texture and body location. Any hair with at least some pigment in it (black, brown, red and even blonde) can be treated. For hair that completely lacks pigmentation, we also offer electrolysis. Is IPL VascuLight safe for all skin types? IPL VascuLight is the first photoepilation procedure proven to effectively treat unwanted hair on all skin types, including dark-skinned individuals. Side effects are rare. You may experience some slight reddening or local swelling at the treatment site, but this typically goes away within hours. On rare occasions, some blistering or bruising may occur, but typically resolves quickly. Skin can be come darker or lighter following treatment, but will generally return to normal within a few weeks. Limiting sun exposure before and after treatment will minimize the risk of complications. Following the treatment, you can generally return to work and resume all regular activities immediately. IPL VascuLight technology has been proven to create a reduction in the number of regrowing hairs following each treatment in most skin types. The number of treatments required depends on several factors related to your specific kind of hair and skin. A customised treatment programme will be designed for you along with an estimate of how many treatments you may need in order to meet your expectations. 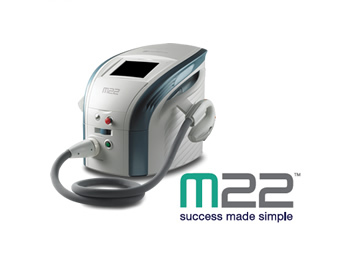 Contact us to find out more about this amazing technology, or to book an appointment or a free consultation. 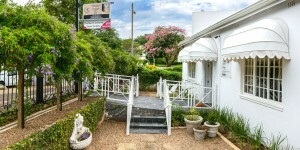 We pride ourselves on fair pricing and great customer service.